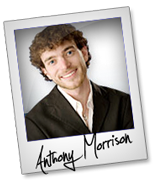 Anthony Morrison – Mobile Optin Launch Affiliate Program JV Invite, More. Welcome to the JVNP 2.0 Update featuring a JV offer courtesy of fellow JVNotifyPro Partner Anthony Morrison (Mobile Optin email marketing system and software high ticket launch affiliate program JV invite), Buzz Builders (Sean Donahoe – WP Blog Rocket, Luke Maguire – Viral Autobots launches, William Souza – CPA Evolution 2.0 pre-launch) and More … in Today’s cha ching in the New Year edition. I’d like to invite you to join us on our MobileOptin launch happening January 20th, 2016. This launch is going to be BY FAR the best of my career…. We’re launching a software that we’ve been using in house for over 3 years now to build our list taking full advantage of the massive amount of “mobile” traffic on the Internet. This is a higher ticket launch with multiple livecasts, private webinars and a massive pre-launch series to make sure we convert like crazy for you. Anyway our launch price will actually be $1497 or $1997 in January we are continuing to test and make sure we get the BEST RESULTS for our partners. Check out the Mobile Optin JV page here for complete launch info including affiliate registration. Looking forward to helping many people and helping you make some big money to start off 2016. 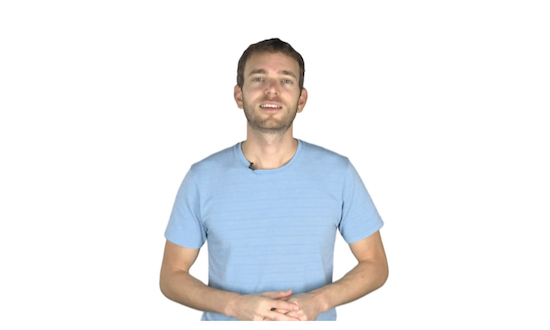 PS: We are scheduling private webinars right now. They are booking up fast so if that’s something you feel your list responds well to please contact me asap to schedule a date. PPS: Please go ahead and setup your affiliate account. It takes only a few seconds, but we want to make sure everything is setup so there’s no rush in January to get familiar with our affiliate platform. It’s super simple and takes only a few seconds! Sean has been quiet for too long and that usually means something HUGE is on the way. Well on December 8th he is launching WP Blog Rocket with massive EPCs, proven funnel and $15,000 in prizes you can find out more information here => Sean Donahoe – WP Blog Rocket JV page. Viral Autobots In 1 Sentence Viral Autobots Is The First & Only Software To Find, Upload, Schedule & Monetize The Most Viral Content & Videos On Facebook, Twitter & YouTube For Your Facebook Fan Pages, while shooting your ORGANIC reach into the millions instantly. Luke Maguire – Viral Autobots JV invite. As GoTryTHIS, it was voted best marketing product. Now Tracker.ly, it’s a million dollar link tracking, conversion boosting, and brand building platform, with every type of marketing link side-by-side for all your sites. Commissions up to $150/month/client. Stick rate of nine+ years. 10% of sales go to affiliate prizes! John Reel – Tracker.ly JV page. CPA Evolution 2.0 by William Souza – $30,000+ in JV prizes, up to $397 per customer and a product that your subscribers will absolutely love. Jump on board and you can expect a huge promo with double-digit EPCs and an amazing support from our team of experts. William Souza – CPA Evolution 2.0 JV page. Partner with Andy Jenkins and Mike Filsaime on what may be their biggest launch ever…. Some Quick STATS: PRODUCT: EverWebinar – The Best New Automated Webinar Platform In The World! OFFER: Lifetime Account. EPC: $14.36 to affiliate based on our Internal Launch. Big Cash and Prizes will be for the taking as usual. Andy Jenkins + Mike Filsaime – EverWebinar JV page. Make up to $195.50 per buyer with Tunes Pack 4! 100 high quality royalty-free background music tracks, each in 15/30/45/60 second lengths. Previous volumes were JVZoo Top Sellers! Launching Dec 14, win cash in our Name That 80s Tune JV video contest! Pat Flanagan + Jim Saari – Tunes Pack 4 JV page. Marketer, become a SUPERHERO! Promote 2 best-seller WordPress plugins, get 50% commissions AND raise money in this CHARITY LAUNCH. 100% profits generated will go towards buying gifts for kids who need them the most this Christmas. Provide amazing value to your subscribers and become superhero to kids! Emka + Brad Spencer – Operation: MIRACLE (Charity Launch) JV page. Launch Day: Temporarily Postponed. Please Register For JV Details & Launch Updates. Want To Earn 75% Commission On The Latest Healthy Recipes & Meal Plans For Autoimmune Diseases? Check out our Samantha Millers – Autoimmune Paleo Diet Cookbook VIP JV page now. Posted in High Ticket Product Launches + Affiliate Programs, Internet Business + Marketing, Joint Venture Announcements	| Tagged Affiliate Marketing, Affiliate Program, Affiliate Program Directory, Affiliate Programs, Anthony Morrison, Attract Affiliates, Attract JV Partners, Best JV Brokers, Buzz Builders, CPA Evolution 2.0, Email Marketing Software, email marketing system, Find Affiliates, Find JV Partners, High Ticket Launch, Home Business, Internet Marketing, Joint Venture Blogs, Joint Venture Forums, Joint Ventures, JV Announcements, JV Blogs, JV Forums, JV Invite, JV Launch Calendar, JV Product Launch Calendar, JVNewsWatch, JVNotifyPro, Launches, Luke Maguire, Make Money Online, Marketing, Mobile Optin, New Product Launches, Niche Marketing, Online Business, Pre-Launch, Product Launch Calendar, Sean Donahoe, Viral Autobots, William Souza, Work At Home, WP Blog Rocket	| Comments Off on Anthony Morrison – Mobile Optin Launch Affiliate Program JV Invite, More.